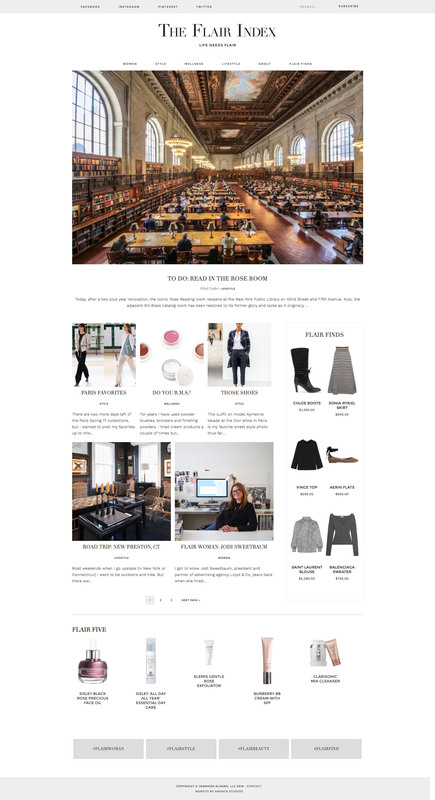 We recently launched a new website for The Flair Index, a chic new blog run by Jennifer Alfano. 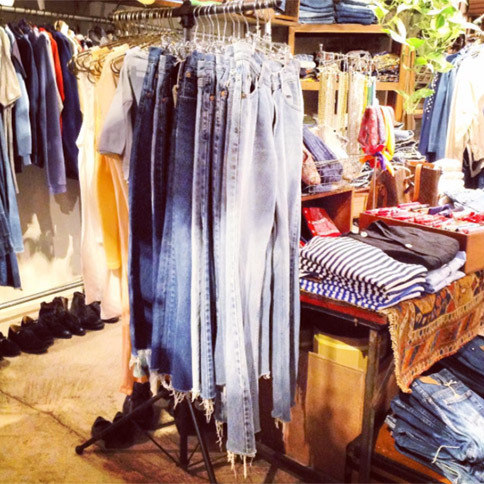 Jennifer blogs about people, places and things that have flair, featuring great women, stylish clothing finds, and other fun things like the best place to find vintage Levi’s in New York. She features Flair Finds as well, which are products that fall under the categories of beauty, books, clothing, and jewelry. The style of the site is minimal, clean, and beautiful showing off the great products and things that are featured in the photos. Check it out at theflairindex.com. The design of the site is very minimal with lots of open white space and a classic black and white color scheme. A clean serif font is used in the logo and headlines throughout the site, which is paired with a more modern sans serif font for secondary headlines and body copy. The beautiful photos of the posts and products really stand out and speak for themselves, giving the site a lot of color and vibrancy. Overall the site is a great combination of classic styles and modern design elements giving it a crisp and elegant appearance. We loved working on this site with Jennifer, and really enjoy how it all came out! Check it out at theflairindex.com and let us know what you think!